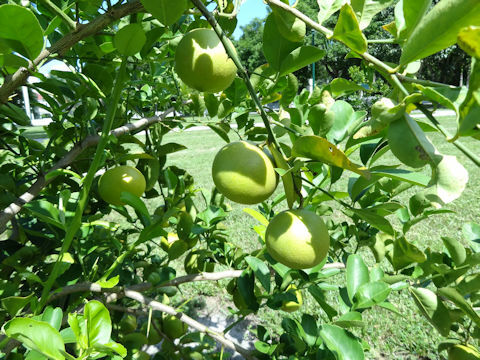 Indian sweet lime (Citrus limettioides) belongs to the Rutaceae (the Citrus family). 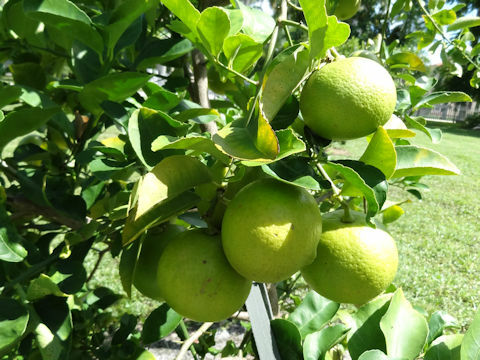 It is a small evergreen tree that is a garden origin, probably a hybrid of Lime (Citrus aurantifolia) and Citron (Citrus medica). 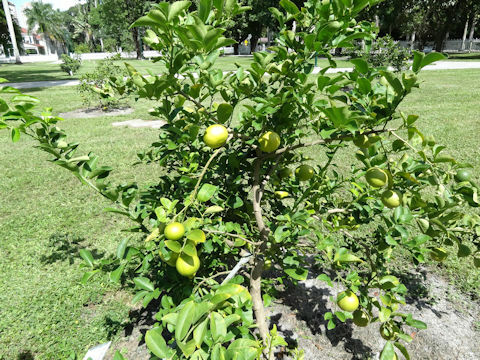 This tree has few thorns, and grows up 4-6 m in height. 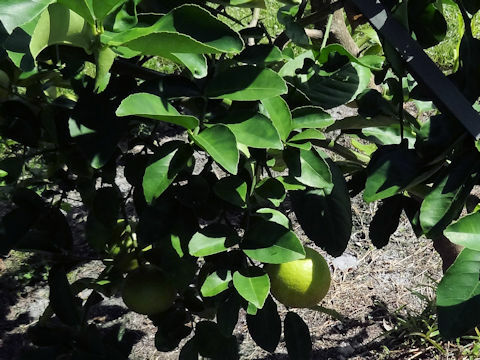 It is sometimes cultivated for its edible fruit, especially in India, the Mediterranean region, Vietnam and tropical America.